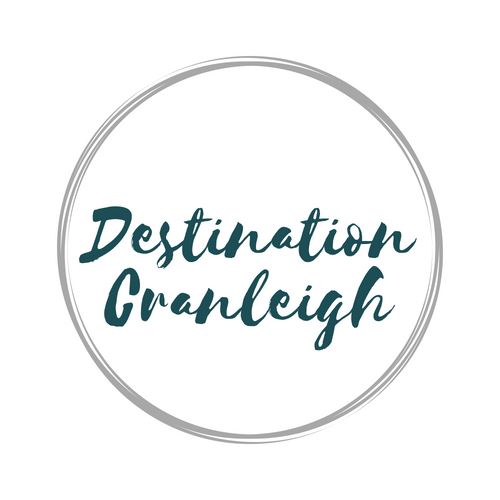 To purchase a premium directory listing, submit an event or share a local news story, please email hello@destinationcranleigh.net or call 01483 901472. Cranleigh is a pretty village close to the A281, 8 miles equidistant from Guildford to the west and Horsham to the East, in the Borough of Waverley and County of Surrey. Situated on the clay soil of the Weald, according to geologists, Cranleigh was a prehistoric inland water lake which explains why dinosaur remains have been found as recently as 2017 when a three ton Iguanodon dinosaur, measuring seven metres high and three metres long was found, and is currently being studied in Cambridge. The village is not mentioned in the Domesday Survey of 1086. For the next 700 years it remained a small agricultural community, whose isolation caused by the almost impassable clay soil in winter enabled the village to avoid the Black Death and Plague. In common with other parts of the Weald, the forests supplied the timber which fuelled the ironworks which, apart from peasant agriculture, was the only place of employment. Cranleigh derived its name just after the Norman conquest from its local craneries, its meaning being ‘a woodland clearing visited by cranes’. A crane figure stands on top of the old drinking water fountain of 1874 which can still be found in the middle of the village in ‘Fountain Square’, and a pair of cranes adorn the crest of the civic coat of arms of Cranleigh Parish Council. Despite losing its rail link in the Beeching cuts of 1965, Cranleigh has prospered both as a satellite of Guildford, and as a services, technology and light engineering centre. Whether or not Cranleigh is the largest village in England, it certainly combines village life with the advantages of small town living. Set in in the Surrey Hills Area of Outstanding Beauty, its immediate area is ideal of walking, cycling and riding. It’s busy High Street has a fantastic range of independent shops, including two well known department stores, Mann’s, now over 130 years old and One Forty almost 60 years old, interspersed with national retailers such as M&S Food and Sainsburys. -Cranleigh is one of several English villages laying claim to be the largest village in England. A village is defined not by its size but whether it has a parish council. – Until the mid-1860s, the village was usually spelt Cranley. The Post Office succeeded in getting the spelling changed to avoid confusion with nearby Crawley in West Sussex. -Oliver Cromwell visited Knowle House in 1657, with his soldiers being billeted in houses in the village and his officers in what is now Cromwells Cafe and Oliver House. – The quaint Cranleigh Hospital was set up by Reverend John Henry Sapte and Doctor Albert Napper is England’s first ever cottage hospital built in 1859 and still in use. – The Obelisk at the Horsham end of the High Street commemorates the opening of the turnpike road between Guildford and Horsham after 1818. Rumour has it that the Prince Regent encouraged the road project because it would make his journey from London to his Brighton Pavilion quicker! – The 2012 London Olympics cycle race passed close to Cranleigh and as a result the village has become a weekend mecca for cyclists aiming to conquer the challenging Surrey Hills. – After the First World War, Cranleigh was home to several artists namely Joseph Longhurst, the landscape painter and humorous illustrators Lawson Wood, and Heath Robinson best known for drawings of ridiculously complicated machines for achieving simple objectives. -Cranleigh’s most famous inhabitant currently is guitarist Eric Clapton who has lived on the edge of the village for 40 years and over the years has performed and rehearses at Cranleigh Arts Centre. Another famous musician, Ringo Starr, lived in Cranleigh from 1999 to 2014, with his wife, actress Barbara Bach. – The 1947 National School was renovated and converted with Lottery funds in 1998 to become the Cranleigh Arts Centre. Artists from all over the world have performed at the Arts Centre, whose patrons are nearby residents, musician Paul Jones of Manfred Mann and actress Julie Walters. – Cranleigh is twinned with Vallendar, Germany and Semur-en-Auxois, France.